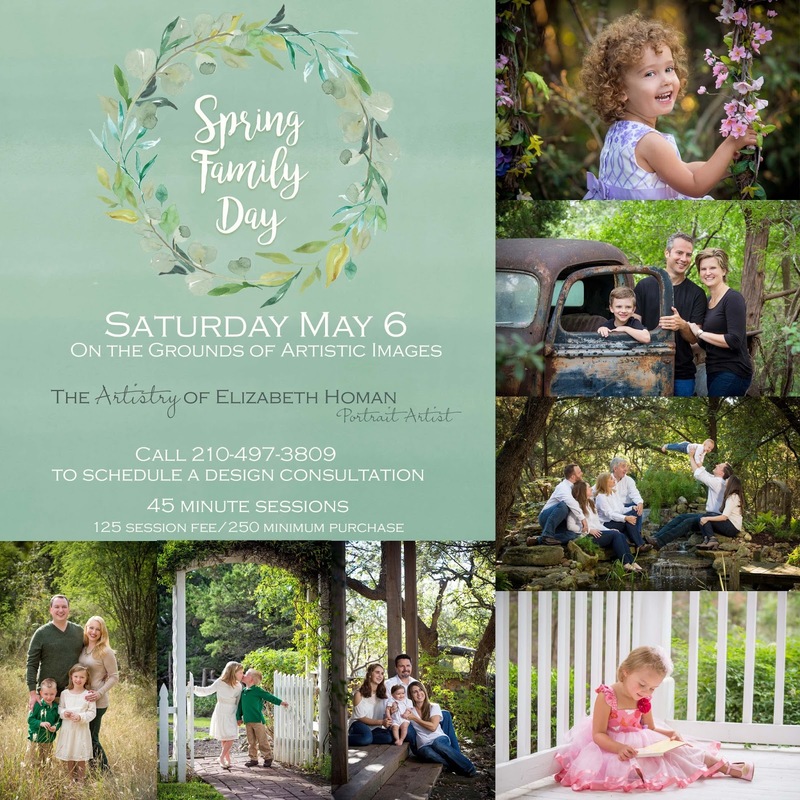 We are so excited to bring you some All New Portrait Events this Spring! All Sessions will be held in the Portrait Garden of Artistic Images. A complimentary design consultation will be done prior to the session to allow me to create exactly what you were wishing for. We will discuss clothing ideas, specific locations desired and answer any questions you may have. We want to make certain that you are 100% happy with your experience from start to finish! This Very Special Event is a tribute to my Mother, Penny, whom we lost last year. If you haven't had a portrait made with your mother, this is the time. No matter what age you are, don't wait another moment. Trust me on this. This session is for any MOM, any AGE, boys or girls, multi-generation...whatever your story, you are welcome to join us. *This is not for full families (sorry Dad's). You will have the choice of two settings. One is a little more "girly" and the other more rustic, perfect for the boys. Below you will find a sample of the "girly" set. The other set will be shown soon. Simple, Solid colors or subtle patterns work well. My suggestion for the "girly" side is white, pink, light grey, off-white, khaki, soft pastels. We will have some floral crowns available to wear if you wish to use them. For the boyish side, jeans as a base and neutral tones such as navy, soft blue, khaki, grey, soft green, brown tones. We will have a sweet area set up where you and your family can enjoy tea and cookies on the front lawn. Take your time, take some selfies, enjoy the day. 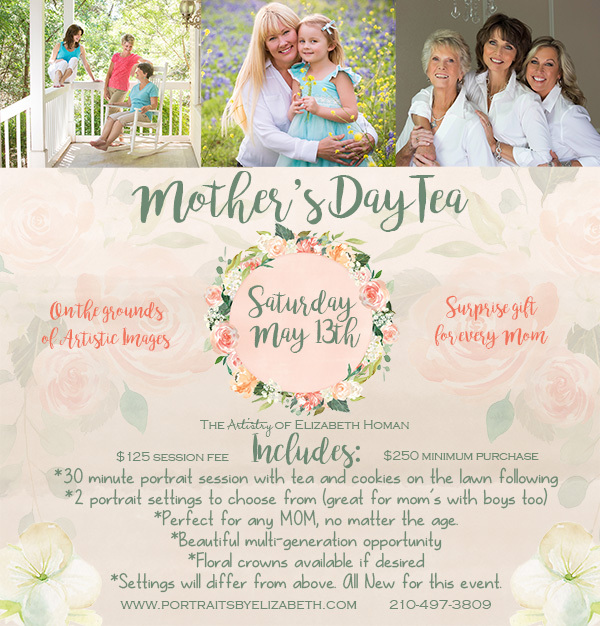 Each Mom will take home a special gift in celebration of Mother's Day! Here is the set design for the "Girly" set. There will be other seating options as well as the swing. 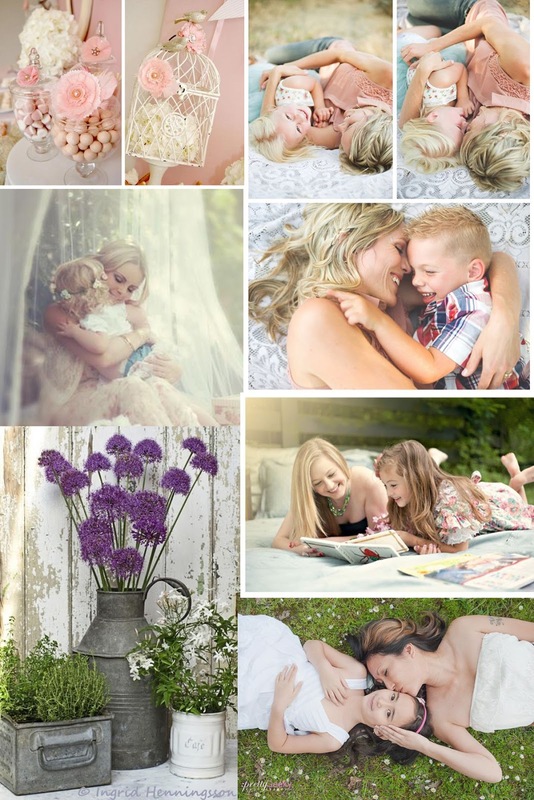 My inspiration board for these portraits. Imagine Scene One: Pinks and Vintage white with the flower swing and cream colored furniture for variety. Imagine Scene Two: Joanna Gaines (from Fixer Upper) decorated our rustic porch with gardening supplies and her fabulous style. We can't wait to create some beautiful ART for you!